Susan created Thrive Yoga more than 14 years ago and has lived a healthy lifestyle for more than 30 years. 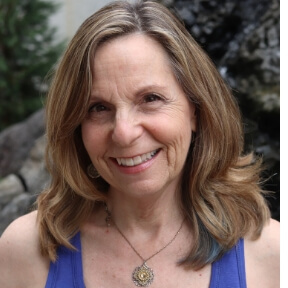 Like many people seeking a life of vitality and joy, Susan created Thrive Yoga after several life events made it clear that her trajectory was successful but lacking freedom, joy and vitality. Susan traded a high-pressured and lucrative corporate career for a future that would be uncertain but free and true to her soul. 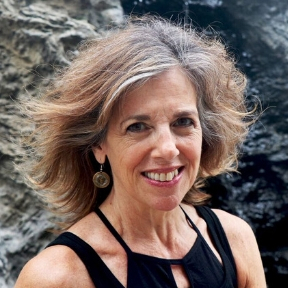 Susan’s personal story of creating Thrive Yoga and the ThriveStyle has been featured in The Washington Post; The Gazette; WUSA News and other various local newspapers and TV news. 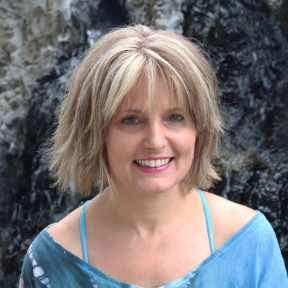 As the Yoga Training Director, Susan (E-RYT500; YACEP) has created training curricula that integrate yoga with complementary techniques from science, philosophy, and spirituality. Susan’s experience in teaching integrated methods for human change and transformation spans more than 16 years and 10,000 hours. Training curriculum is current, fresh and exciting while still being rooted in the foundational study of yoga (experience) and research (knowledge). Numerous practices and methods invite the individual student to find their formula to lead a joyful life regardless of the conditions of the outer world. Keegan (RYT 200) began his practice in 2010 at a baptiste inspired studio. This single class sparked an expedition into meditation, breathwork, Tai Chi, and other forms of mind/body/spirit practices. He completed his teacher training in 2015 and has been teaching ever since. He has taught vinyasa, hatha, restorative, and kundlini inspired classes during his time as a teacher. As an instructor, Keegan draws inspiration from Patanjali’s yoga sutra 1.2 — “yoga is the cessation of fluctuations of the mind.” In other words, Keegan believes yoga opens us up to states of inner stillness. This state of stillness has healed, empowered, and revealed joy within his life. He cultivates this in class by incorporating pranayama (breathwork techniques) and cueing breath control during the practice. He also encourages students to single pointedly focus their gaze on various points (drishti) within the room or on their body. Breath is key for Keegan, along with proper alignment within the shape of a pose. Keegan likes to build students into postures (asanas) from the foundation up while offering variations optimal for each student. Once proper alignment is achieved, he feels the subtle energetic quality of the pose can be embodied. Keegan’s mission as a teacher is to transmit this practice to students so they may come to know their true nature via the yoga experience. If you are seeking to deepen your ability to still the mind, empower your body, and rejoice in spirit, Keegan’s class may benefit you. Julie (E-RYT 500; YACEP) earned her 500-hour yoga teacher training at Thrive through a collaboration with ISHTA Yoga in 2008-2011. Julie is certified in Restorative Yoga with Jillian Pransky and iRest Yoga Nidra through the Integrative Restoration Institute. She enjoys teaching iRest meditation to support psychological health, well-being, and spiritual freedom. Julie is enrolled in the Brain Longevity Training with the Alzheimer’s Research and Prevention Foundation. Julie has been teaching at Thrive since 2011 and often incorporates restorative poses, pranayama, and meditation in her classes. Julie is a Teacher Trainer at Thrive. She enjoys seeing students reap the benefits of moving their bodies, deepening their breath, and finding peace within. Julie came to yoga as cross training for tennis. A regular asana practice has helped her maintain flexibility and joint health. The transformational benefits to all the layers of her being have far exceeded those physical benefits. Yoga has helped her gain mental clarity and emotional resilience enhancing healthy, happy, and peaceful aging. 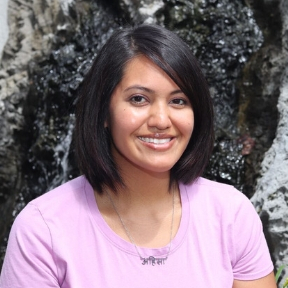 Jess (E-RYT500; YACEP; RPYT) holds a Master’s degree in education and started her teaching career in elementary school until she realized stress was a major issue in her life. After practicing yoga, Jess experienced an expansion of her spirit, feeling it was her calling to make a career change to teaching yoga. Jess has been teaching at Thrive since 2009 and has been a Teacher Trainer since 2012. Jess uses powerful cueing of physical alignment and teaches her students to understand vibrational movement to inspire them to engage with universal source. Jess honors both the practices and the philosophy of yoga and teaches from her personal experience. 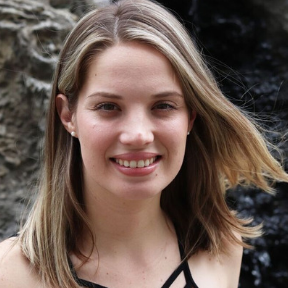 Jess is skilled at dynamic sequencing and connecting to the individual student’s needs. She uses Yogic philosophy, sequencing, and hands-on adjusting as tools for transformation in her classes. 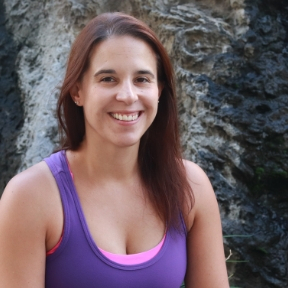 Jess loves teaching many styles of yoga and enjoys watching transformations in her students on and off the mat. She leads yoga retreats all over the world, taking her students to exotic locations to immerse themselves in yoga. 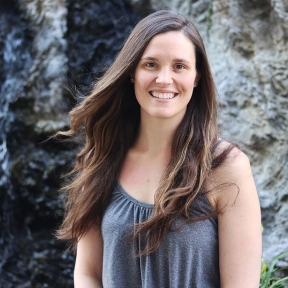 Jess had created an original 85-hour prenatal teacher training from her vast teaching experiences including teaching prenatal yoga while she was pregnant with her children. At age 16, Ally (RYT 500) found herself on a yoga mat in Frederick, Maryland alongside her stepmom who was pursing her own yoga teaching certification. She’ll admit it: she giggled during her first om. Over a decade later, she’s taught on both sides of the country and practiced in several countries around the world. Yoga has profoundly impacted her life, and she is honored to share it with Thrive’s students. Ally comes to her mat for fun, for guidance, and often just for the silence. In her classes, you’ll slow down so you can listen and connect. Connection is key; union is yoga. Christine (E-RYT500) has been practicing yoga since 2000. Christine began teaching yoga to special populations in 2008 in her classroom at Kennedy Krieger Institute in Baltimore and quickly realized the immense benefits yoga has on all bodies and abilities. 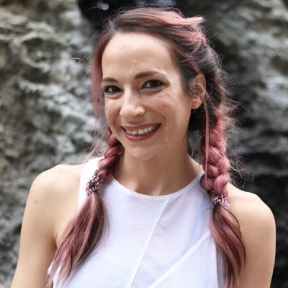 Christine completed her 500-hour training at Thrive and has certifications and trainings in Childlight Yoga, Yoga for the Special Child, Adaptive Yoga, Trauma-Informed Yoga, Yin Yoga, and Aerial Yoga, with additional experience in yoga for athletes. 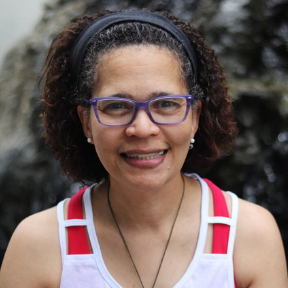 Christine has a special passion for special populations and teaches trauma-informed yoga as well as adaptive yoga. Christine utilizes therapeutic techniques to explore new physical abilities and achieve the impossible safely. After figure skating in her early years, Christine found yoga as a natural step in understanding the beauty of a posture and sequence, as well as the human body. Christine shifted from her own personal practice into teaching yoga to students in her special education classroom. Shortly after her teacher training Christine suffered deep impacts of a Traumatic Brain Injury. Yoga became not only a tool to relearn skills like walking with balance, but the postures themselves became a place of comfort. Through this experience, Christine developed a different relationship to yoga and is beyond grateful to have access to something that so profoundly changed her life. 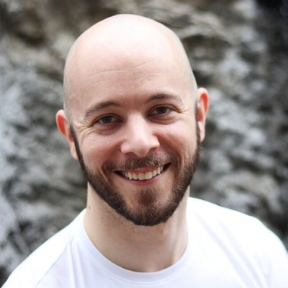 Evan (RYT200) teaches with the belief that movement is good for the body, stillness is good for the mind, and living in the present is good for the soul. His class provides space for all levels of students to work up a sweat and surrender. Evan began his yoga journey by looking for a new form of exercise and stayed for the benefits beyond the physical body. He believes yoga helps to better understand yourself and live a happier and healthier life. He teaches as a way of sharing what he’s experienced and to hopefully inspire others to find enjoyment in the practice, each in their own way. Steven (RYT200) is currently pursuing RYT500 through Thrive. Steven’s classes will tend to feature detailed alignment cueing, fast flowing sequences blended with isometric holds to work the body in different ways, and unique sequencing to keep the mind in the moment. Steven took his first yoga class to support a friend who had just become a yoga teacher. He borrowed a studio mat and as a beginner explored what at first felt awkward to him. Then he walked across the street for coffee and bagels. And that became his Tuesday morning routine for over a year. Yoga quickly turned into one of his favorite ways to move and exercise as well as to meet amazing new people. More slowly he came to rely on yoga and meditation as a powerful toolkit to help him unwind and to release tension and replace it with joy. He became a yoga teacher to help people discover their own tools and live their own lives more joyfully. Ugonma (E-RYT200; YACEP) is currently pursuing E-RYT500 at Thrive. 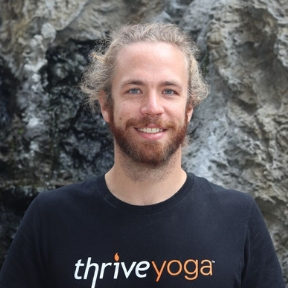 Ugonma is the Thrive Yoga Studio Director. Along with the rest of the team, Ugonma creates the programs and events at Thrive. She has studied/ taught Vinyasa Flow and Kundalini styles of yoga for over 10 years. She is a teacher and forever a student of yoga. Ugonma is a Teacher Trainer at Thrive and Reiki Master/Teacher. She leads Reiki Trainings and yoga classes for non-profit organizations, NIH and Children’s Hospital. Her work has been featured at holistic health fairs, conferences, and wellness centers on the East and West Coasts. She continues to develop her specialty in energetic wellness through integrating earth-based and meditative practices into her yoga journey. She believes yoga is a path to self-transformation, peace, and joy. Isabella (RYT200) is currently pursuing RYT500 at Thrive. Isabella teaches a variety of styles of yoga and meditation including Vinyasa, Hatha, Chair/Office Yoga, Kids Yoga, and Meditation. 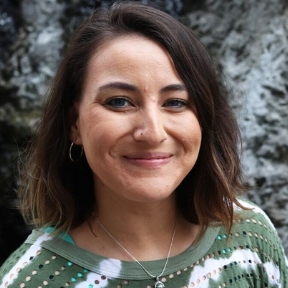 Isabella’s teaching style encourages presence, connection, and freedom while acknowledging the importance of gently building mental/physical tenacity. Her contemporary approach to yoga aims to cultivate a space of self-exploration in the practice of each student. Isabella first found meditation as a means for anxiety relief and mindset work which resonated with her in a very uplifting way. She soon after began to explore a more physical practice which brought her back to the joy of the flexible, free movements she enjoyed as a child. She fell in love with the sensation of mental peace and physical joy that a regular yoga practice presented. Bringing awareness to the fluctuations of the mind and body — and how the two interact — has allowed her to find a fulfilling connection to herself and the world around her. Angelina (RYT500; Reiki I & II certified; Thai Yoga Massage certified). Her continuing education includes: The Art of Teaching Prenatal Yoga at Thrive Yoga; Asana Yoga Immersion Series at Asana Studio in Arvada, CO: Prana Vayus (principles defining the elemental relationship of the physical body with the subtle body), Applied Anatomy (including deep stretch), Panchayat Maha Vidya (Five Great Knowledges), Partner Yoga Therapy “Loving Touch” (yoga and massage), Yoga Therapy Basic Applications (safety and modifications). 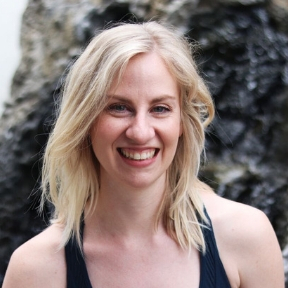 Angelina enjoys teaching a variety of styles of yoga including Hatha with Yoga Nidra, Family & Kids Yoga, Prenatal and Postnatal Yoga, Yin, Hatha, Restorative Yoga, and more. 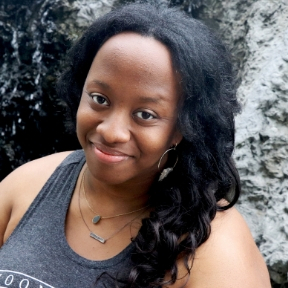 Her teaching style aims to connect students with their inner world — into dormant aspects of self as a way to unlock unused potential and “gold” within the shadow. She teaches her classes from an intuitive approach based on the energy in the room in relationship to time of year, weather patterns, and her current personal state of being/practice. Angelina dated CrossFit but married yoga. She fell in love with yoga because she believes that it is the most honest path for self-healing, awareness, and exploration. Each practice offers us an opportunity to observe, witness, and learn more about ourselves so that we can thrive closer to our full potential. Kristen (E-RYT200; Souluna certified life coach) has trained at the Kripalu Center for Yoga and Health with Coby Kozlowski, Wanderlust, Spirit Junkie Masterclass with Gabby Bernstein, and Tony Robbins’ Unleash the Power Within. Kristen is a Teacher Trainer at Thrive. Her teaching style is tailored to help students find ease and joy in their mind and body, and help them feel relaxed and safe. Students show up for her light-hearted spirit and ukulele. Kristen is an actor and singer, and received a BFA in musical theatre at the Boston Conservatory. Conservatory life was a dream; however, the stress slowly began to build and the lifestyle of being a professional actor led to burnout. She knew she needed a change, and yoga was the answer! Through a consistent yoga and meditation practice, Kristen turned her stress and anxiety to freedom and joy. She is passionate about living yoga and supporting others in finding their unique gifts and sharing them with the world. Rikki (RYT200; RPYT; Radiant Child Yoga certified). Her teaching style can be described as empowering, calming, and bonding. She was first introduced to Iyengar yoga in Gunnison, Colorado in 2010 while attending college. She immediately fell in love with the practice, and, as a result, bought a plane ticket to embark on a yoga journey to India. Since then she has dedicated herself to the study, practice, and teaching of yoga. She believes being a prenatal yoga teacher is an amazing experience that can be used to guide women toward the ways they can positively affect their experience. She feels great joy when she can hold a space for women to experience an honest, authentic, and raw version of themselves, as well as sharing her own love and passion for this practice. Alison (RYT200) is currently working on completing her 500-hour certification through Yoga Medicine. 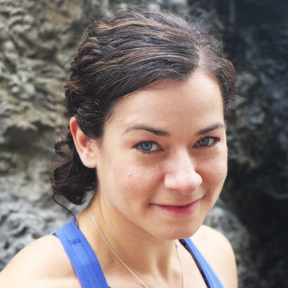 In addition to teaching yoga, Alison is a human movement and corrective exercise specialist as well as both a running coach (RRCA Level 2 Certified) and CrossFit coach. She has completed extensive advanced-level training in anatomy, biomechanics, myofascial release, and injury prevention with Tiffany Cruikshank, Sage Rountree, Jason Crandell, and Jules Mitchell. Alison specializes in working with individuals who have injury concerns and athletes. 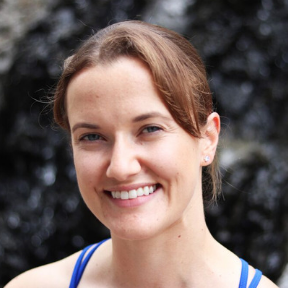 Alison primarily teaches Hatha, Restorative, and Yin classes. Her approach to teaching is compassionate, grounding, and empowering. She encourages students to explore and experience movement in new ways in order to build body awareness, gain confidence, and be more comfortable in their own skin. Alison was looking for something to help her manage the stress of major life changes and all the emotions that go along with that. At that time, she felt like her life was spinning out of control. Yoga provided her the time and space to reconnect with herself and then ultimately deepen that connection in the most profound and meaningful way. Her practice has changed over the years but her dedication to it (and herself) has remained steadfast through it all. And that’s the coolest part of the practice in her opinion — it grows with you. Laura (RYT200) started practicing when she was pregnant with her first child. Yoga spoke to her and she found that even though she had gone for the physical benefits she kept going back because of the mental benefits — a calm and peaceful mind. In 2013 she completed her 200-hour training at Thrive and began to teach Prenatal, Vinyasa, and Hatha yoga. She has continued her education with a regular practice, prenatal training at Thrive, and workshops with a variety of teachers including Barron Baptiste and Kathryn Budig. She loves connecting with her students and especially women during their pregnancies to make them feel stronger, more confident, relaxed, and present. You can expect a balance of heat-building flow, breathing, and meditation exercises in Laura‘s classes. 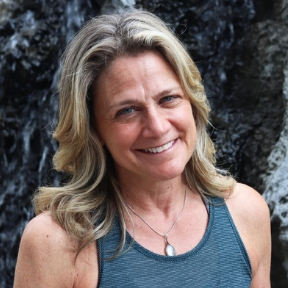 Maureen (RYT500; RPYT; Thai Yoga Massage certification; Reiki Level I & II; Aerial Yoga Certification) cues her students to understand their body sensations and focus on pranayama (breath work) and meditation for a full yoga experience. She weaves science and psychology expertise to enhance some of the more esoteric components of yogic practice. In her class, everyone is given the freedom to explore their individual inner and outer worlds while enjoying a community atmosphere. Maureen loves yoga because it came to her at a low point in her life — picked her up, brushed her off, and taught her how to see the light in herself and others again. She hopes to impart this healing energy and practice to others, so they too can don their rose-tinted glasses. Lisha (RYT500; Reiki Level II practitioner) is a member of the International Association of Reiki Practitioners. She’s also a Certified Holistic Health Coach through the Institute for Integrative Nutrition, and a Certified Crystal Healer. Her teaching style can be described as meditative, grounding, and all-inclusive. Lisha teaches yoga because she believes yoga opens us up and paves the way for self-discovery and connectedness to all that is. Yoga has made her a much more open person in so many aspects of her life. She loves sharing what yoga has to offer in body, mind, and spirit, and she loves holding space for others to have their own unique experiences both on and off the mat. Allie (RYT200) is currently pursuing RYT500 at Thrive and is Aerial Yoga Level 1 and Aerial Restorative certified. Allie’s personal practice is quite varied, and this is reflected in her teaching. She teaches vinyasa, aerial, and restorative styles of yoga. In all of her classes, you can expect a welcoming environment for all students, a balanced practice with space for movement and stillness, and to leave class feeling good in your body, mind, and soul. Allie first started doing yoga over 10 years ago, primarily for the physical benefits. Over the years, she started to practice yoga more consistently and to take yoga off of her mat and into her everyday life. This helped Allie to realize that yoga can benefit her mentally, emotionally, and spiritually, as well as physically. Once she realized that, she knew she wanted to share this with others and took the leap to become a yoga teacher. Johanna (RYT200) is currently pursuing RYT500 at Thrive. She is also a Reiki Master. Her teaching style is compassionate, easy going, and explorative. Johanna fell in love with yoga from the very first time she tried it 10 years ago. Her love of yoga was cemented when she was pregnant with her daughter. She regularly practiced prenatal yoga at Thrive. Yoga was the only thing she could do physically that could make her feel comfortable in her ever-changing body during that time. She was that woman who took her yoga mat to labor and delivery, practicing all kinds of pranayama and asana until she delivered her daughter — more than 30 hours of labor — yoga WORKS! Yoga has been a foundational piece of her life, keeping her grounded even in the most chaotic times and equally in the most blissful times and she’d like to share that with her students. Felicia (RYT500; E-RYT 200). As a life-long teacher, Felicia’s passion for teaching and learning shines through in all of her classes, workshops, and progressive series. She is an advanced yoga practitioner who is able to make students feel welcome and at ease. She is highly involved in teacher development and mentoring, and is a Teacher Trainer at Thrive. Felicia teaches hot vinyasa and core vinyasa classes but also loves breaking things down for beginners in vinyasa flow. She has a popular following in workshops such as arm balances, inversions, and deep explorations of intermediate to advanced yoga poses. She understands the importance of balance, inner peace, and revitalization, and has even gotten many students at the studio knitting — discovering the meditative properties of her other favorite passion! Felicia’s classes are highly energetic, and provide direct instruction, authenticity, and fun! Felicia took her first yoga class in 2006 and immediately found what she was looking for—a physical challenge, a spiritual comfort, and a relaxing aftereffect. She knew she had to share this with others, and enrolled and completed her 200- and 300-hour training programs at Thrive. She has been teaching exclusively at Thrive since 2009. Becki (RYT500) completed her 200 and 500 hour Teacher Trainings at Thrive. 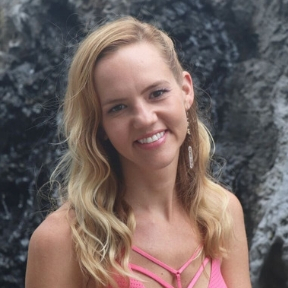 Becki has also received training through Life Power Yoga and has certifications in Buti Yoga, Reiki Levels I & II, and is in the process of completing Thai Yoga Massage Level 1 certification. She is a highly dedicated, enthusiastic, and passionate yoga teacher who approaches practice as a way to live life, consciously and with purpose. Becki sees yoga as a means for exploration in self-discovery and growth. Her teaching style connects ancient wisdom with modern day techniques, with a heavy focus on alignment, breath, and sensation. She believes this allows the student the freedom and safety to explore their own body-mind consciousness and potential. Becki discovered yoga during an emotional challenge in life and it became her medicine for change and growth. The community and support she received from Thrive continue to be her catalyst for healing and self-empowerment. 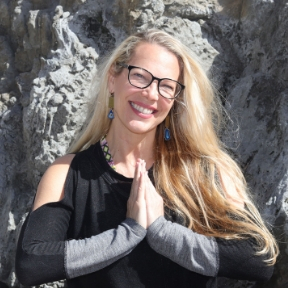 Shannon Sharma (well-known Teachers Teacher of Yoga, ERYT-500 and a Certified Yoga Therapist C-IAYT) is an influential spiritual coach and mentor that has transformed thousands of lives over the past twenty years. Through her own self-healing journey, she realized the cosmic truth that your trauma can strengthen and awaken your higher power. Her gift of insight, healing, and empowerment have all emerged from within, and she wants to show you how can do the same. Shannon specializes in pain and the humans infinite capacity to heal. She pulls from many modalities, particularly Ayurvedic Yoga Therapy, Ayurvedic Aromatherapy, Yoga Nidra, Soul and Angelic Meditation, Thai-Yoga Therapy, and numerous others. When she isn’t teaching yoga, meditating, or working with Shamans in Costa Rica, she is the loving mom of one furbaby and the wife to her best friend, Sameer Sharma. Her motto is: Gratitude and forgiveness are the best medicine. Shelly (RYT200; Reiki Master) is pursuing RYT500 at Thrive. In Shelly’s classes, expect to feel safe and nurtured. Shelly started out as a type A personality, needing to be physically active, and moving as much as possible, which meant a lot of high-intensity exercising. She first tried yoga 25 years ago when she was pregnant with her oldest son and became an almost daily yoga practitioner when she joined Thrive as a student. Since then she has woven yoga, meditation, crystals, energy healing, and essential oils into her life and her personal growth has been constant and exciting. She believes if she can inspire one person to look inside themselves and expand, she’s making the world a better place. 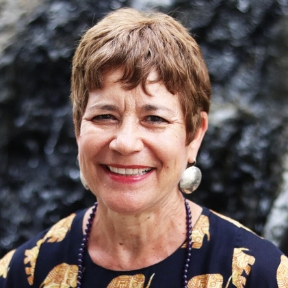 Jane (E-RYT 200; RYT500) has trained at Duke University’s Integrative Yoga for Seniors, Brain Longevity® Therapy Training offered by the Alzheimer’s Research and Prevention Foundation, and is a member of the International Association of Yoga Therapists (IAYT). In 2012 she founded Sarasvate, Yoga Designed for the Brain, whose mission is to help prevent Alzheimer’s. Jane is also a Teacher Trainer at Thrive. Jane enjoys giving students the ability to align in a pose and connect to how it feels in their body and breath. Her teaching style is challenging but accessible to all — with an emphasis on alignment and compassion for the body. She tries to reach students right where they are. Her classes include hands-on assists to help with realignment and are experiential, incorporating music, gongs, singing bowls, writings, yogic concepts, and themes. Her mother introduced her to yoga and meditation as a kid, and that in and of itself is special for her. She’s continued to practice yoga her entire life but it wasn’t until she found Thrive that she really integrated yoga into her life, starting with the 40-day program, then teacher training, and through the many wonderful workshops offered at Thrive. She knew she felt the impact of yoga on her life when her friends and family noticed the changes that she had felt. Jane is here to pay it forward and share. Morgan (RYT200) received her Health and Wellness Coaching certification from Maryland University of Integrated Heath. Morgan’s path to yoga began as a spiritual search and evolved to include a physical asana practice. 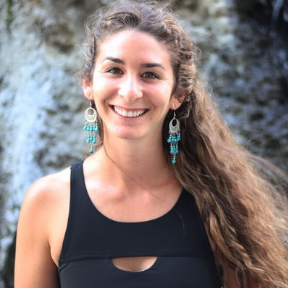 Recognizing the positive impacts that a committed practice had in her life, Morgan made the decision to shift consciousness and career paths to a more holistic lifestyle. Drawing from a background in behavioral therapy, education, yoga, and most recently holistic health coaching, she seeks to promote the joy of self-acceptance, and laughter as medicine. 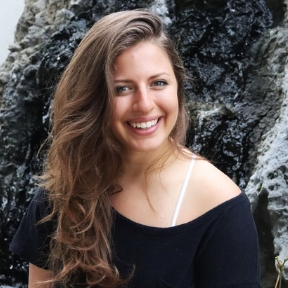 Morgan’s intention is to foster a warm, inclusive atmosphere where students feel comfortable exploring dynamic movement, meditation, and thoughtfully selected music. 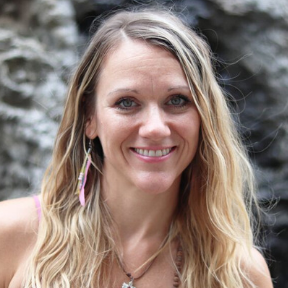 Traci (RYT500; Reiki Level I & II; Thai Yoga Massage Level 1; Aerial Yoga Level 1 and 2; completed Trauma-Sensitive Yoga with David Emerson) is the Aerial Yoga Program Coordinator at Thrive. She teaches and is a Teacher Trainer at Thrive for Aerial and Restorative Yoga. Her teaching style is supportive and playful. She uses props and makes her classes accessible to all. Traci first started yoga in high school as a way to condition for sports and was quickly drawn to the additional mental benefits. 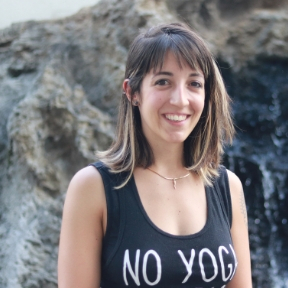 She used yoga as a way to heal past traumas and reconnect with her true self. She became a yoga teacher to help create a loving and safe space for her students so they can discover their inner and outer strength. Traci would practice hot power yoga almost every day, sometimes twice a day, until a major injury caused her to slow down. She found her way into a restorative class and loved how the props provided support in different poses for a deeper yet easily accessible stretch. Wanting to explore more styles of yoga with props, Traci went to an aerial yoga class. It was a combination of her new love of prop support and the fire she had missed from her hot power days. She wanted to learn everything she could about the world and co-created a Level 1, 2, and Restorative Aerial Yoga Teacher Training.